As climate change has heightened concerns about the global decline of mangroves, a new study found that such ecosystems along the desert coast of Baja California may be more important than previously thought for keeping heat-trapping carbon dioxide out of the atmosphere. 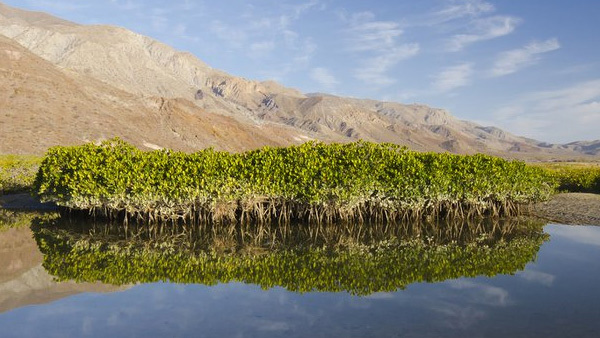 Researchers at UC San Diego’s Scripps Institution of Oceanography discovered that despite their short and stunted appearance, mangroves in these desert locations had surprisingly high rates of sequestering carbon underground. In some cases, the ability was several times greater than that of lush mangroves in tropical locations. “Desert mangroves specifically in Mexico, which are much smaller and cover a very small total land area, sequester comparable amounts of carbon to tropical mangroves in tropical rainforests,” said Paula Ezcurra, a scientist at Scripps and lead author of the new report.